Anyone who enjoyed the retro game of lunar lander style games, might enjoy this last game developed and designed by indie games developers Shovsoft. 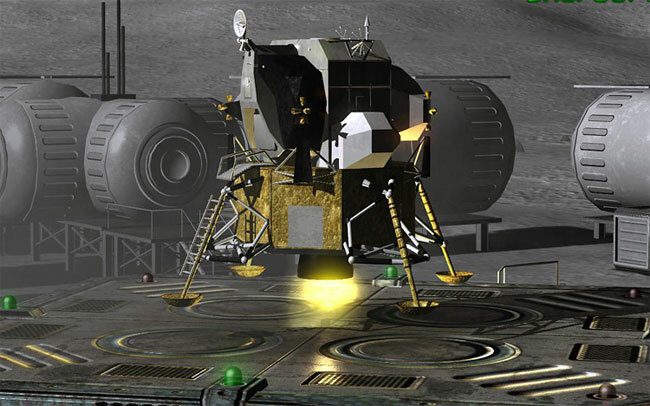 Which brings the lunar lander game up to date with a 21 Century make over. Watch the video after the jump to see Lunar Flight in action, and get a feel for the graphical experience you will be experiencing, which is just slightly different from the first Lunar Lander game. The recently finished Lunar Flight extends the experience to a fully, fictionalised Lunar Module Simulator providing a variety of mission types involving transporting supplies, acquiring data, surveying locations and locating lost supplies. During the game completing missions will earn you experience points, together with cash that can be used to Refuel, Repair and upgrade your Lunar Module. Lunar Flight is now available to purchase for £6.99 or $10 from Gamers Gate.